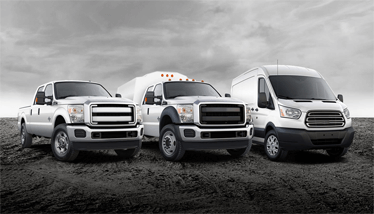 We work with thousands of mobile fleet businesses big and small. Our goal is to provide affordable tracking solutions catered to meet any specific needs. Located in Houston Texas. We design, produce, and support GPS tracking solutions for use anywhere in North America. Including Canada and Mexico. Our GPS tracking devices and fleet tracking software are designed with the user in mind and is constantly improved based on our customer’s needs and input. We’ve provided the best GPS tracking solutions for over 20 years. Making us one of the oldest and most experienced GPS tracking providers in the industry. Advanced Tracking Technologies’ Shadow Tracker® Live is easy to use and mobile friendly. Our software is built with an intuitive user interface. The software is compatible with a wide variety of smart phones, tablets, and PCs. Being able to track your fleet on any device allows you to respond better to any situation. Improving efficiency and customer satisfaction. If you are new to vehicle tracking, you would find it makes incredible sense. Advanced Tracking Technologies’ GPS tracking system provides exacting information on the performance and location of every vehicle. Our tracking system allows you to view journey trails and relays using a color-coded speed designation. Geofence your fleet’s work area so you get notified when vehicles go inside and outside the geofence. Use maintenance scheduling to reduce the risk of vehicle breakdowns. With the help of Advanced Tracking Technologies’ GPS tracking system, you can improve your fleets productivity, dispatch time, and fuel consumption. No matter the kind of mobile business you maintain. With the right tracking system, you can easily streamline your tracking efforts. All without having to learn a complex management system. Ready to take advantage of these benefits? Give us a call today! Or request a free demo to see how we can help you meet your vehicle tracking needs. With Advanced Tracking Technologies, you can keep your fleet on track to becoming a more efficient mobile business. Our systems report vital fleet data around the clock at an industry leading 10-second update time. We work with the largest cellular and satellite carriers in North America to provide top-notch coverage. Our technology includes features that can help almost any business meet their goals, regardless of size. Friendly and knowledgeable customer service team ready to help you be fully equipped to manage your fleet. With over 20-years of vehicle tracking experience, you can trust that we always got your back.